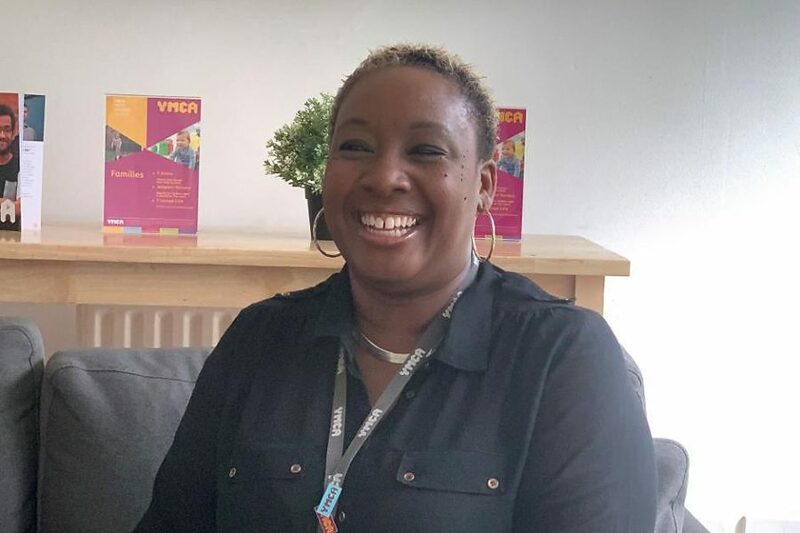 Kerry Oldfield-Spence is the Housing Manager at YMCA South Ealing. She was joined by the Duke of Sussex on 3 April for a conversation about mental health with two of her residents, Jade and Rory. He was keen to hear about their experiences and what it was like to live at a YMCA hostel. It was an important high profile visit showcasing the work of YMCA’s Mental Health Champions project and a Heads Together roundtable with national charities. With just a week’s notice that the royal visit was to take place, there was a great deal of activity in the run-up such as cleaning, decorating and gardening as well as organising staff rotas and security planning. “The most challenging part of preparation for the visit was the staffing and setting up the temporary reception. That was a difficult environment for staff to deal with all day because it was cold and cramped. I was most unhappy about that. Overall, we were well prepared for it though,” says Kerry. Kerry helped to facilitate the conversation between the Duke of Sussex and the residents. She knows them well and the issues they face in addressing their mental health conditions. Local authority funding cuts have seriously impacted the provision of mental health care in Ealing borough. It means that residents have to meet an extremely high criteria to access care. “I feel really strongly about it,” says Kerry. “I explained to the Duke of Sussex that the criteria to access services is so high that we’ve got to wait for someone to smash up the building or their neighbour before we can have an assessment for a resident. Kerry explains that managing staff is the most challenging aspect of her job but that the most rewarding is seeing residents back on their feet.